Sorvall DuPont Ultra Pro 80 Centrifuge 80K RPM Digital Refrigerated Floor Thermo . New Life Scientific, Inc. 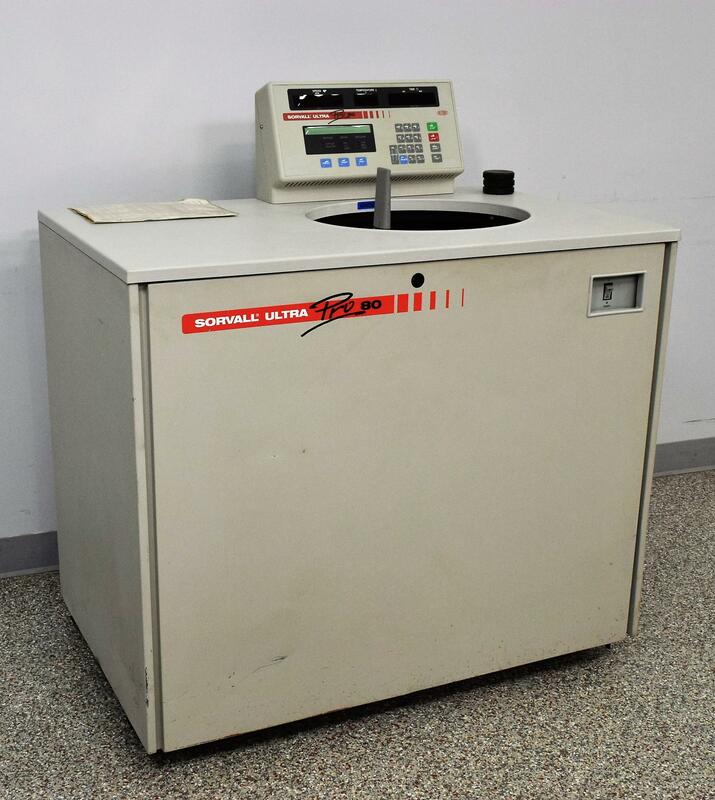 Tested to 65,000rpm, this classic Sorvall centrifuge is tested and ready for your lab. This piece received personal attention from our technical staff, confirming it reached 65,000. It should be noted that while cooling strongly, it stopped at 4c despite being set to 0c. This is compatible with most Beckman rotors that are used in "L" series centrifuges. Our in-house technician inspected and tested this Sorvall DuPont Ultra Pro 80 Centrifuge, confirming it to be in good functional condition. Technician tested the speed of a rotor and got a consistent result of its max rpms and held the temperature of 8ºC.